We cannot keep doing things the same way: we must move from linear to a circular economic model. 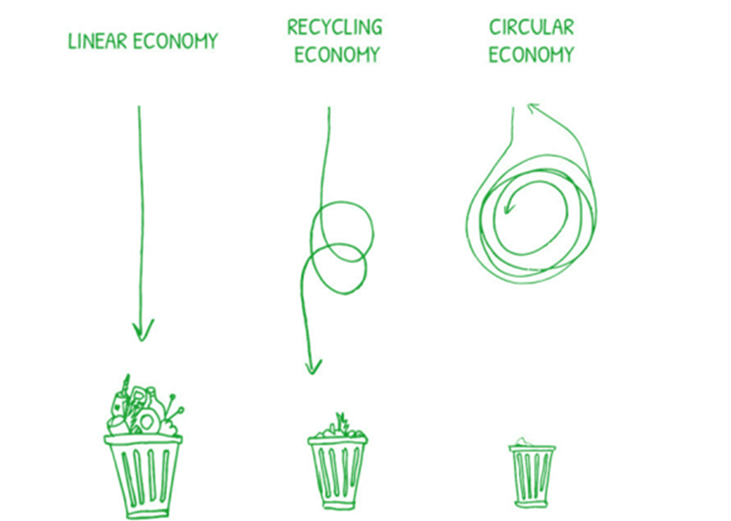 Or what is the same, stop with the “take, make, consume and thrown away” and start a zero-waste process. “The world is running out of energy resources”; we hear that speech almost every day, and the most concerning part is that it’s true. The World Business for Sustainable Development predicts that the total demand for resources will reach 130 billion tons by 2050 from the 50 billion tons level in 2014. Over the last years, an Environment Action Program (EAP) has been launched by the European Union, as part of its environmental policy. The current step named “Living well, within the limits of our planet”, approved in November 2013, covers the period up to 2020 and has a special focus on turning waste into a resource, with the aim of guiding consumers to re-use and recycling. A good example is retrofit services for Electrical Distribution, it has this “re” concept (reuse, refurbish, recycle, renew, etc.) that contributes to Circular Economy. Switchboards and accessories can be reused, and obsolete components can be refurbished, repaired, or recycled, to minimize waste. Furthermore, the lifecycle is prolonged, and less money is spent. 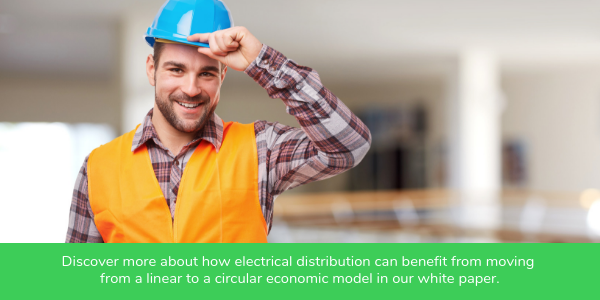 For instance, Schneider Electric has won a global award for its contribution to the circular economy, which, in part, comes because of our Ecofit program. This service helps customers extend old electrical equipment life as well as to upgrade it to the latest technology thanks to a global network of refurbishment centers for low and medium-voltage equipment circuit-breakers and UPS-es. Additional services exist to take-back and treat batteries and medium-voltage equipment at the end-of-life. Retrofit solutions are good for the planet and for our customers since using fewer resources they can have more productivity. As a member of the Ellen MacArthur Foundation’s Circular Economy 100 program, Schneider Electric is committed to finding innovative ways to rethink the product design process, the business model and services, based on durability, renewability, reuse, repair, etc. Learn more about the foundation and how they work to establish the circular economy on the agenda of decision-makers across business, government, and academia.